Tested around the world. The 5700 Series will feel right at home on your farm. 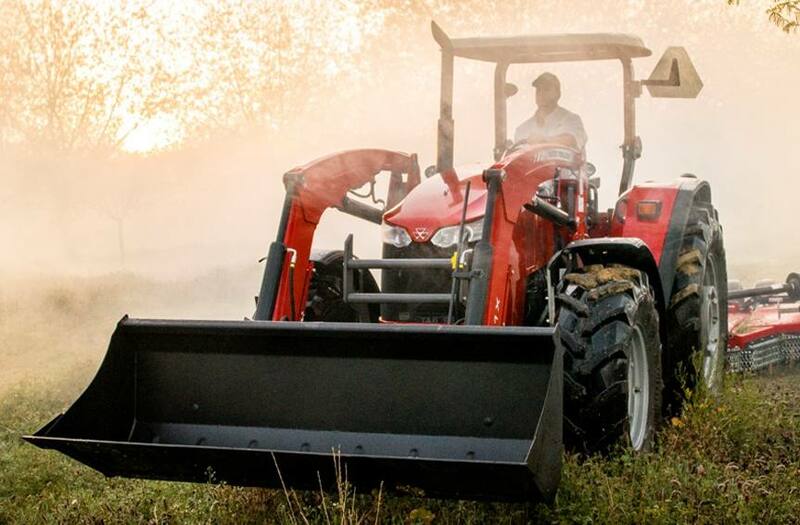 The new 5700 Series from Massey Ferguson® has been tested in many of the toughest environments around the world. And these tractors are uniquely designed for more power to pull heavier implements, while still being nimble enough to maneuver almost anywhere. You get the versatility and ease-of-use you need to feel right at home during a long day’s work. Transmission: Our 12 x 12 Synchro Mechanical Shuttle gives you a more comfortable ride and less operator fatigue. While the 12 x 12 Synchro Power Shuttle on deluxe models allows directional changes to be made with no clutch, just by moving the lever. AGCO Power™ 4-Cylinder 4.4L Engine: The Tier 4 Final engine provides unmatched power, with advanced technology that meets emissions requirements, saves time and makes for easy maintenance. And with no need for a DPF, power is available whenever you need it without compromising fuel efficiency. 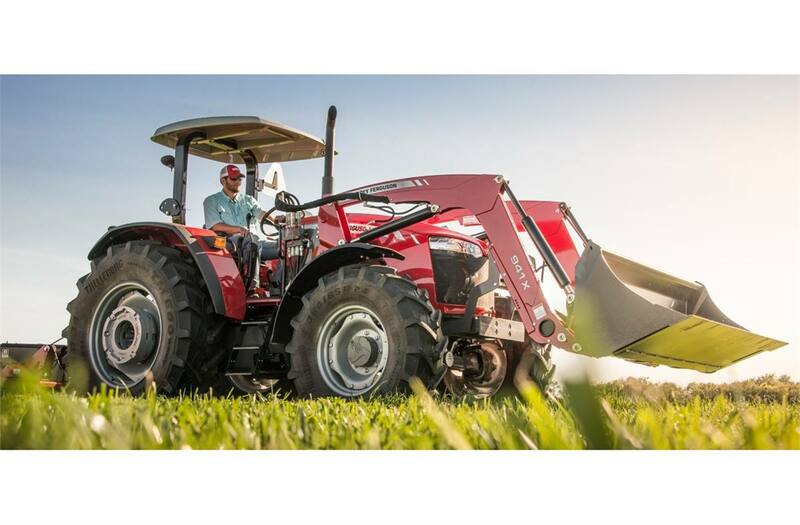 Front Axle Suspension: The Massey Ferguson-designed and built suspension is completely integrated into the tractor for maximum comfort and maneuverability. It maximizes ground clearance and gives the operator a better turning angle and angle of oscillation. 2WD/4WD: The 2WD axle option offers reduced weight and greater maneuverability, with five alternate track-width settings to accommodate your crop or field. While a limited slip differential AutoLock on the 4WD axle ensures drive is evenly distributed to both wheels for better traction and greater stability. Deluxe 4WD models feature a hydraulic controlled differential lock on the front axles. PTO: A standard 540/1000 PTO allows you to use a variety of implements, no matter what the application may be. Three-Point Hitch: There’s virtually no limit to the range of implements you can put behind these tractors. Two gear pumps power the simple, open-center hydraulic system, and a heavy-duty three-point hitch helps provide a rear lifting capacity of nearly 7,710 lbs. Cab: The 5700 Series features a stylish, roomy cab with mounted grab rails for easy entry and a flat floor design. Ergonomically-placed controls and an adjustable spring tension-control seat make this our most comfortable cab yet. 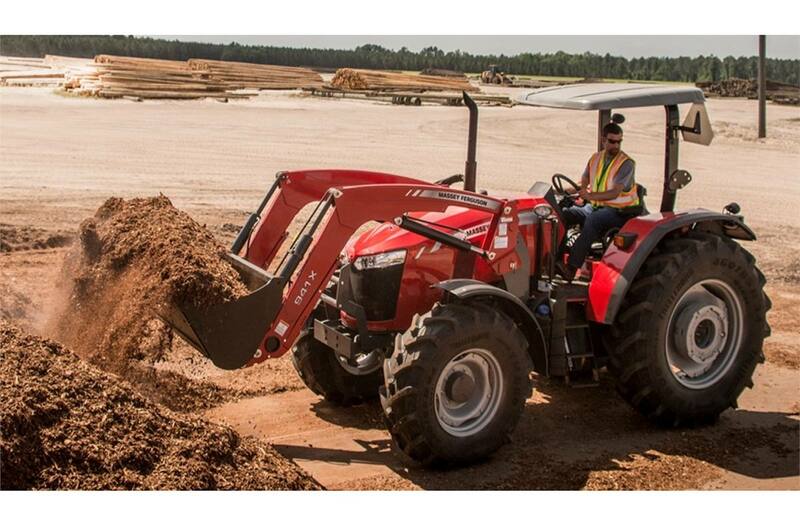 Joystick: All major tractor functions, including changing direction, changing speeds, declutching and operating the loader, are handled by the joystick. 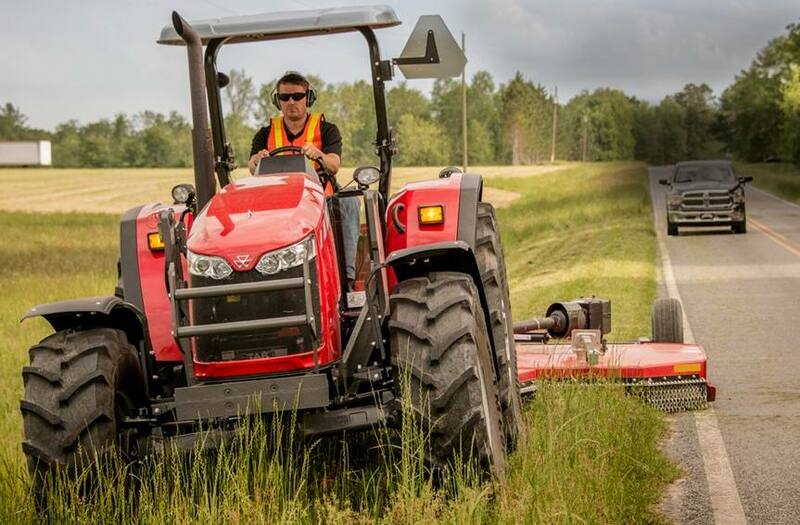 The operator doesn’t have to change hand positions to change speed or gears, maximizing comfort. Power Shuttle Control: For loading trucks, stacking hay or other loader work, the optional power shuttle control lever provides easy electro-hydraulic declutch and directional changes without the need to press the foot clutch pedal. Setup & Information Screen (SIS) Full-Color Dash: The large, non-polarized dash enhances visibility and resolution in a simple-to-navigate system. You can adjust tractor functions and settings right on the screen, without the need for an additional console. Loader Float Control: Loader float control raises and lowers the loader to the contour of the ground or road for the flexibility to efficiently handle grading and snow removal. *Specifications are manufacturer’s estimates at time of publication and are subject to change without prior notification. **Not currently for sale in the State of Nebraska.